Depends on distance and performance time. 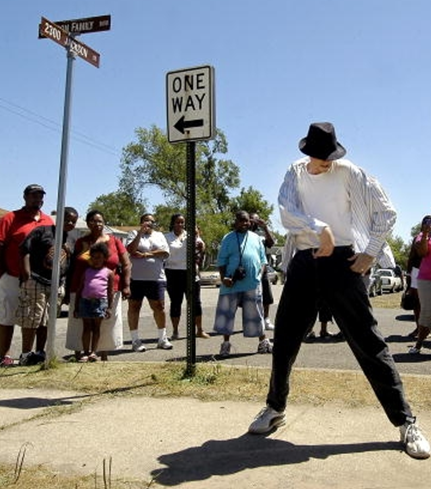 Tim is an experienced Michael Jackson impersonator located in the Northern Indiana area. 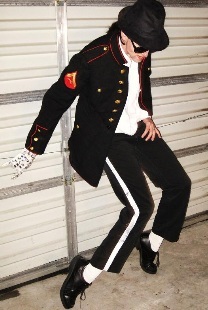 Tim has performed his keen dance impersonation of MJ to thousands of amazed fans for over 15 years. Most recently Tim was photographed in 2009 performing at the Gary, Indiana memorial for Michael Jackson. The photo went out to newspapers and online outlets across the country and was featured on the CBS Morning Show. Tim offers several performance packages based on needs of the show. Tim will appear in full makeup/costume. Price Range: Depends on distance and performance time. Full make-up/costume. Typical performances are about 30 minutes which includes two 10-minute sets with a 10-15 min. break between for meet n greet / pictures. Song requests can be submitted by client.